Ina Garten is the keeper of one powerful chicken recipe! 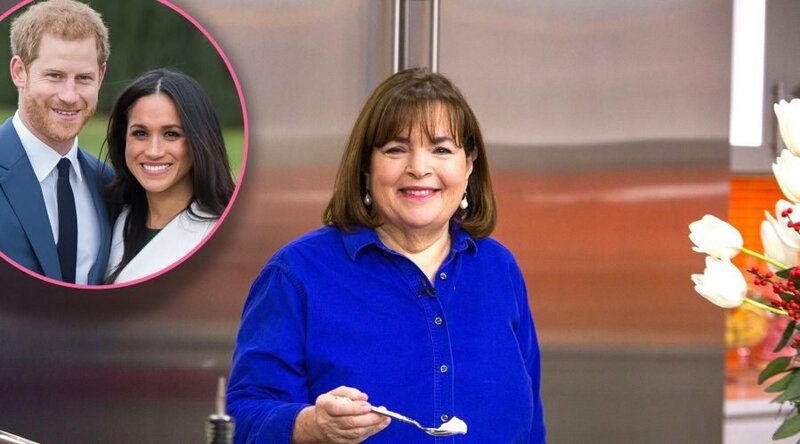 The celebrity chef, who is also known as the Barefoot Contessa, jokingly credits her take on a classic roast chicken with helping royal couple Prince Harry and Meghan Markle seal the deal and get engaged. During an interview with the Today Show’s Willie Geist that aired on Sunday, October 28, Garten acknowledged she’d heard Meghan, who became the Duchess of Sussex when she married Prince Harry on May 19, liked to cook her roast chicken and reportedly whipped up the popular dish the night the former actress and Harry got engaged. And even though Meghan didn’t mention Garten by name during an interview discussing her engagement with CNN and the BBC in November 2017, she recalled the evening she got engaged as a “cozy night” during which she and Harry were “trying to roast a chicken.” In other words, it’s plausible the Barefoot Contessa, Cook Like a Pro host did play a pivotal role in the royal romance. Though the Duchess of Sussex has had to modify her diet a bit since getting pregnant, roast chicken is still on the approved list of dishes she can safely consume, so chances are she’ll be making it for the foreseeable future! Check out Ina’s recipe and try it for yourself!